WMPD says shots were fired and the man and woman in the car were struck and died at the scene. 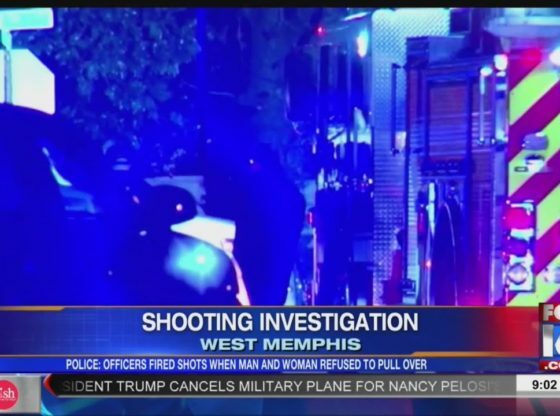 WEST MEMPHIS, Ark.- State Police confirm two people are dead after an officer-involved shooting Wednesday night. According to our sister station WATN, it happened around 9:30 p.m. . According to West Memphis Police, the incident happened at 18th Street and McAuley. LITTLE ROCK, Ark.- Little Rock Police confirm they are investigating a homicide on W. 29th Street Wednesday night. Officials say one man was found dead. According to Little Rock Police call logs, a shot spotter activated in the 5200 block of W. 29th Street around 7:30 p.m. This makes Little Rock's fifth homicide in 2019. This is a developing story.